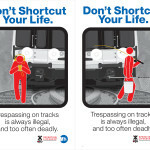 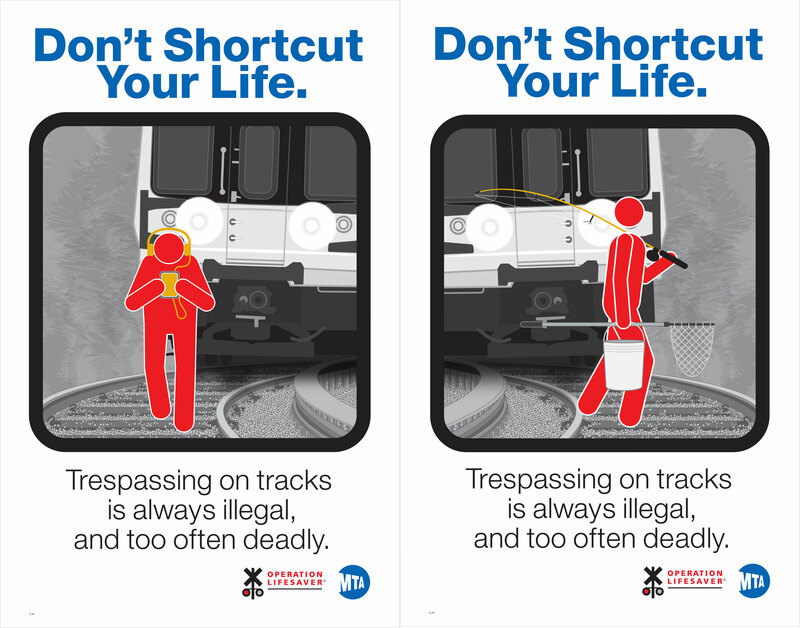 In response to the tragic Metro-North Railroad crash back in February which killed six and injured over a dozen, this summer the MTA released a new campaign hoping to get pedestrians and motorists to be more aware of their surroundings when around train tracks. 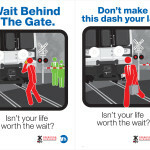 The campaign—made up of five posters and three videos—is illustrated in the same vein as the also recently rolled out “Courtesy Counts” posters found throughout the city’s subways. 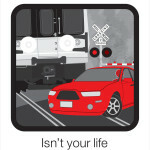 But what’s most surprising about the agency’s railroad crossing adverts is that like those in the subway (e.g. 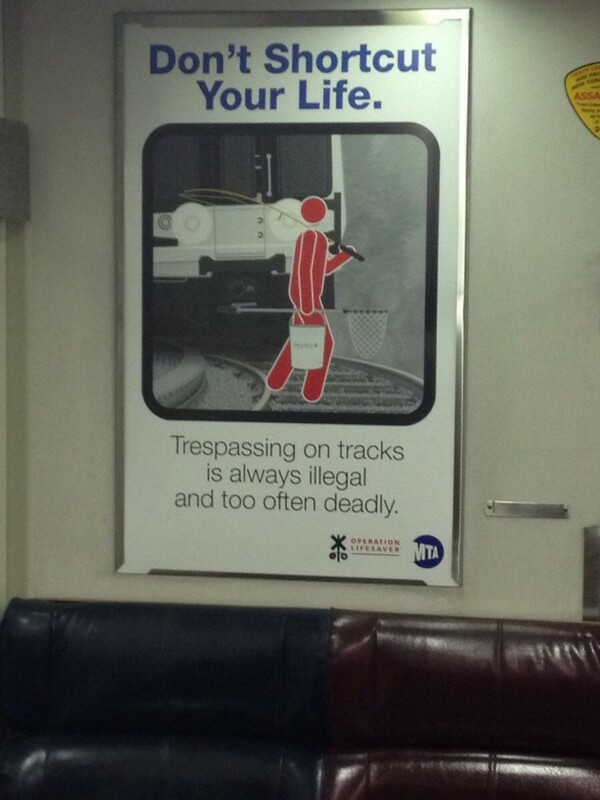 man-spreading and poll hogging), they’re all inspired by real life events. 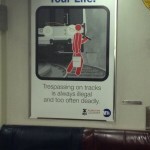 The initiative is being led by a partnership between MTA Chairman and CEO Thomas F. Prendergast and President and CEO Joyce Rose of Operation Lifesaver, a national not-for-profit that has run educational programs around railroad crossings since 1972. 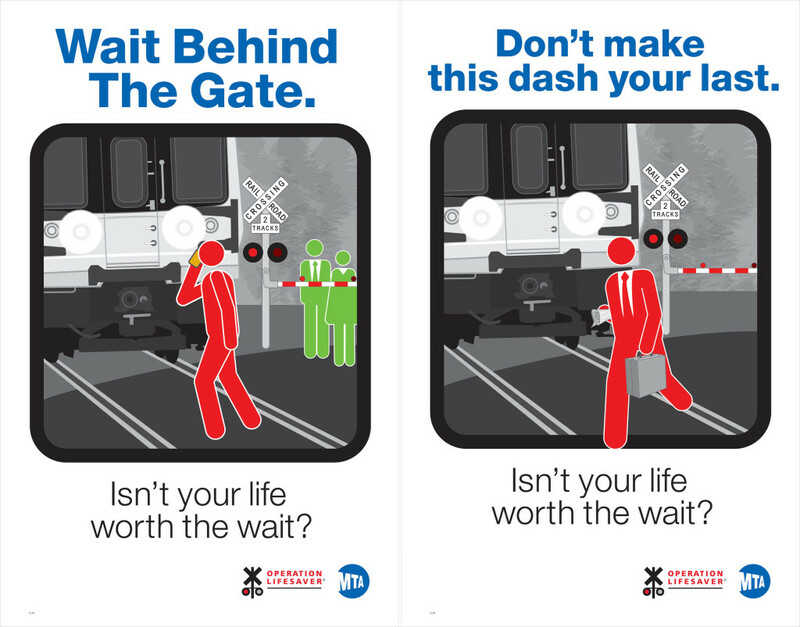 The campaign is appropriately being called “Operation Lifesaver.” The posters can already be found in stations and trains across the agency’s vast network.